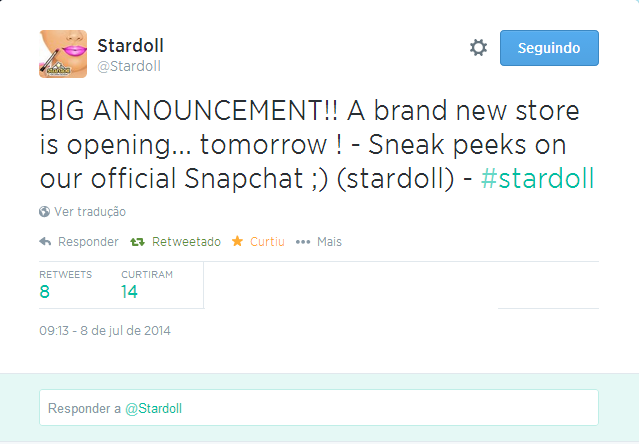 Stardoll posted this tweet at their Twitter and according to it, tomorrow we will have the releasement of a brand new store. I can not see anything in snapchat right now, but we already saw that tomorrow's pick of the day and also the Saturday's pick of the day will be these items. Will they be for the "new brand store" or they will be for a new collection of BASICS? What do you think? Do you have an idea of what this new store will be?